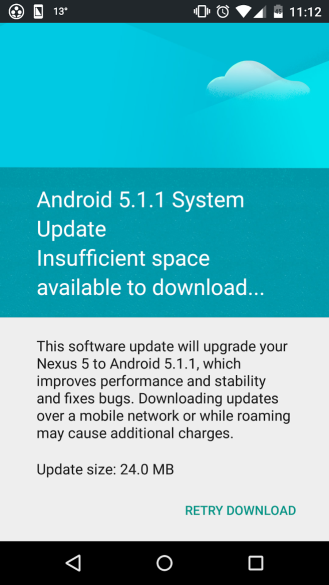 After seeing Android 5.1.1 hit the new Nexus tablet, the old Nexus tablet, and the Nexus-branded set-top box, it's time for Google to show its handsets some of that bugfix update lovin'. 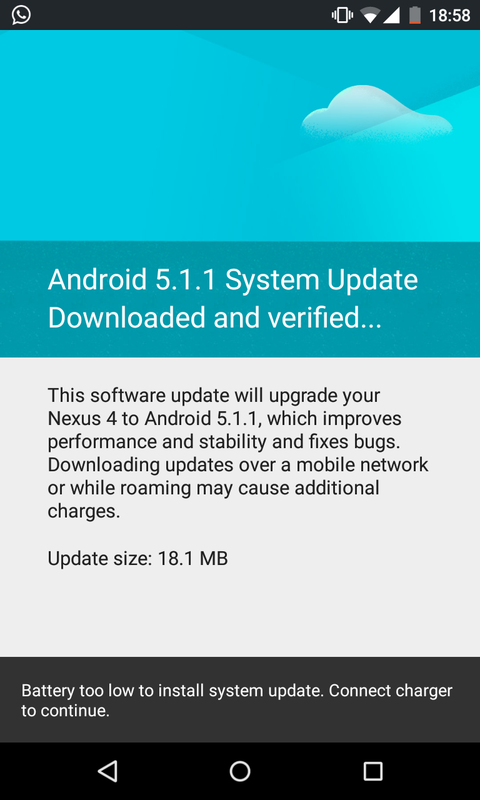 Android 5.1.1 is now hitting the Nexus 5 (version LMY48B for devices on LMY47D, LMY47B for those on LMY47I) and the Nexus 4 (LMY47V). 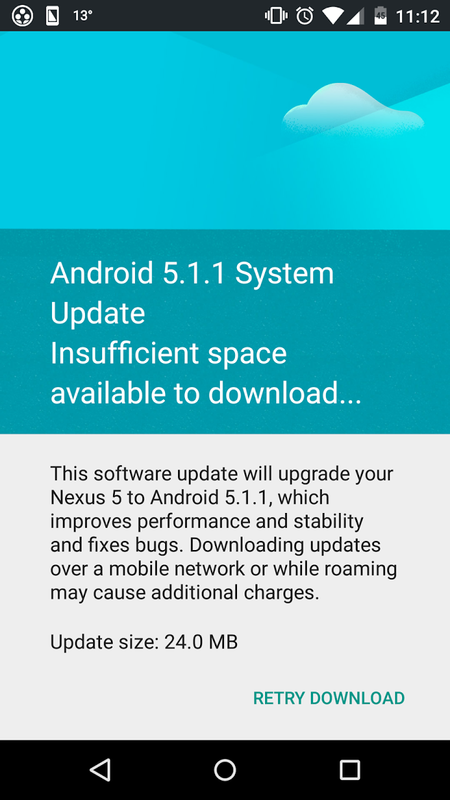 Sprint gave us a heads up a week ago that the goods were on their way to the Nexus 5, but things didn't move quite so quickly. 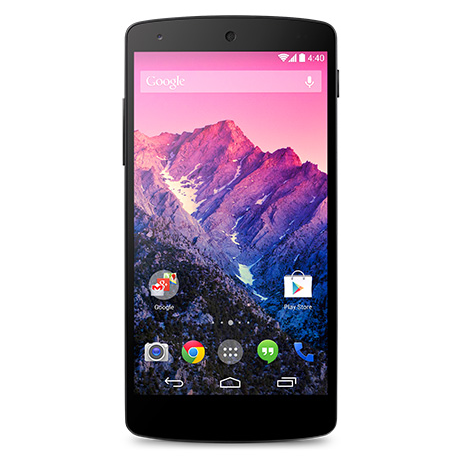 The addition of the Nexus 4 at the same time is nice to see. And while not a phone, the LTE version of the Nexus 9 is also getting in on the action (LRX22L). You can wait for the update to arrive over-the-air on its own, or your can take matters into your own hands. The latest version is contained within ZIPs at the links below (if your Nexus 9 LTE is still on 5.0.1, you need to install the 5.0.2 OTA first). You can install the OTA with ADB on your computer. Place the OTA file in the ADB directory and reboot the device into the recovery. You want to enable ADB sideload (apply update from ADB), then plug in the tablet. Use the adb sideload filename.zip command on your computer to send the OTA file over. Lollipop will only work if you are completely stock. If you've messed around with things, you may want to wait for the factory images.